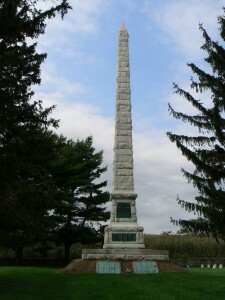 Finn’s Point National Cemetery, Pennsville, N.J.
More than 2400 Confederate prisoners of war and 135 Union guards are buried at Finn’s Point National Cemetery in southern New Jersey. 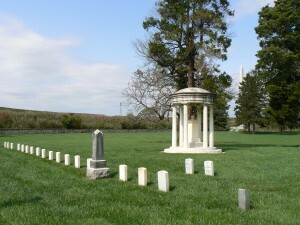 The National Cemetery, next to Fort Mott State Park in Pennsville, N.J., holds the remains of Confederate prisoners who were held at Fort Delaware, a Civil War prison camp on the Delaware River’s Pea Patch Island. 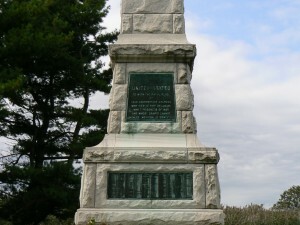 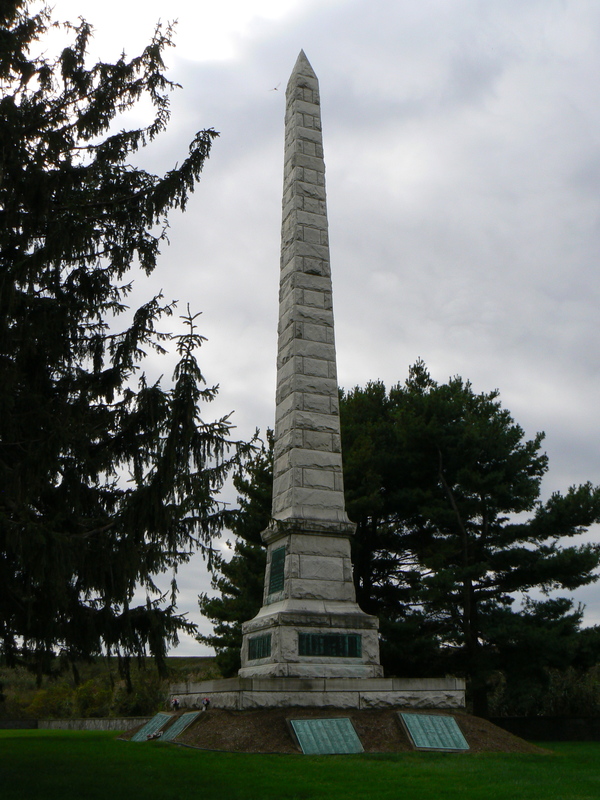 The four sides of the monument are inscribed with the name and native state of the Union guards. The names and regimental affiliations of the Confederate prisoners are listed on four small plaques in the lower sections of the obelisk, as well as eight larger plaques at the monument’s base. 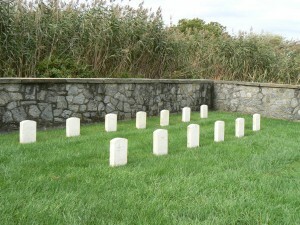 The northeast section of the cemetery holds the graves of 13 German prisoners who died during World War II while being held at Fort Dix. 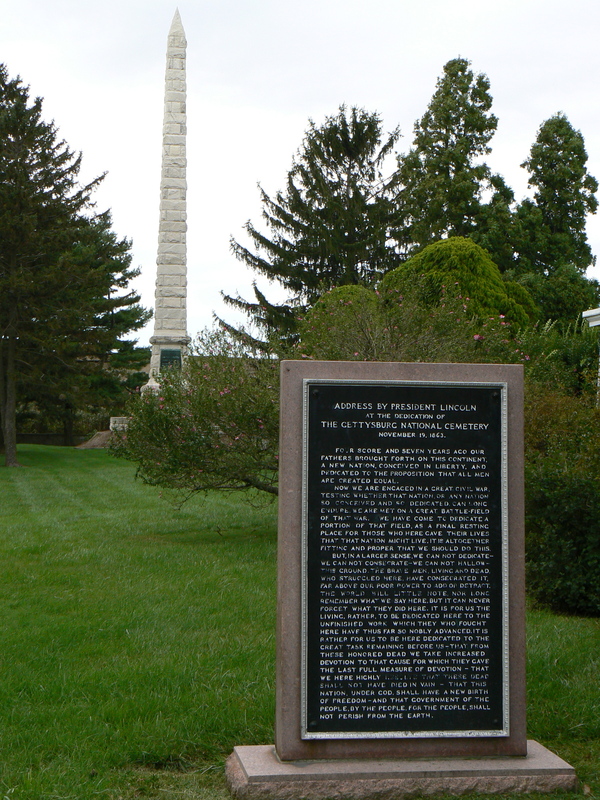 A Gettysburg Address plaque has been erected in the cemetery, as have seven plaques bearings the “Bivouac of the Dead” poem found in a number of military cemeteries and war monuments. 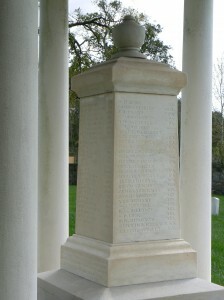 The cemetery also holds the remains of veterans and family members from later conflicts, and remains available for the burial of cremated remains. A wayside marker near the cemetery’s entrance explains its history, and a binder in a weather-proof display box lists the locations of marked graves. Fort Delaware was built in 1847 to help defend the port of Philadelphia, and began to hold Confederate prisoners in 1862. 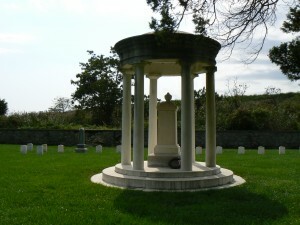 Most of the prisoners and guards who died at the fort were buried on the mainland. 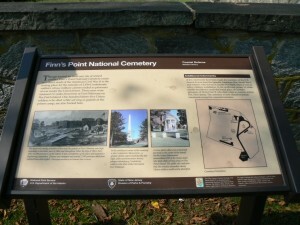 After the war, Finn’s Point was established as a national cemetery and the remaining deceased who had been buried at the fort were transferred. The cemetery is next to Fort Mott State Park. 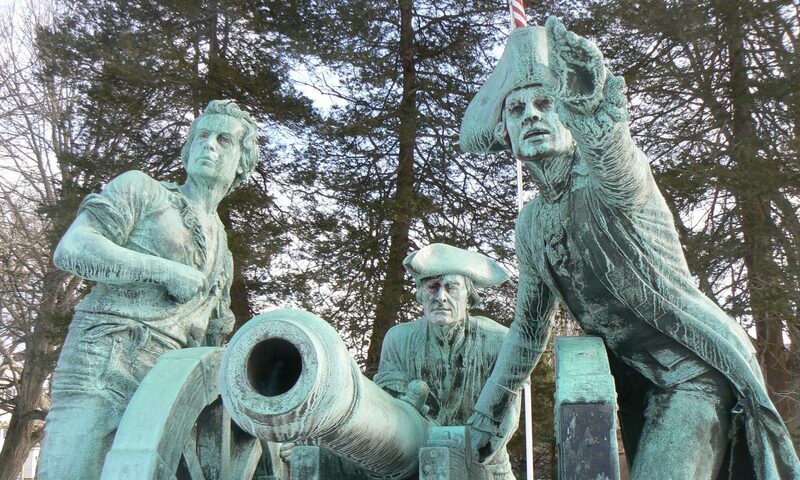 The fort was established to provide coastal defenses for the Spanish-American War, and became a New Jersey state park in 1951.